With the continuous development of the beauty industry, more and more people choose to start their own eyelash business and create their own beauty brand. First of all, the first point to choose a premium mink lashes, start your own eyelash business; second, you have the eyelash style can not be without the packaging of the eyelash box, so custom eyelash box is also very important, because the eyelash packaging is your eyelashes A key factor in branding. However, because many eyelash vendors do not have their own eyelash packaging box production plants, they also need to find their own box to make the packaging factory, so this will need to wait for a long time. For this problem, WELLA LASHES has also been discovered, so we have purchased a large number of eyelash packaging boxes according to the needs of customers in the past, and purchased a special printing logo machine, we can greatly shorten the customization time of the eyelash packaging box. , let you receive your favorite eyelash packaging box in the shortest time. 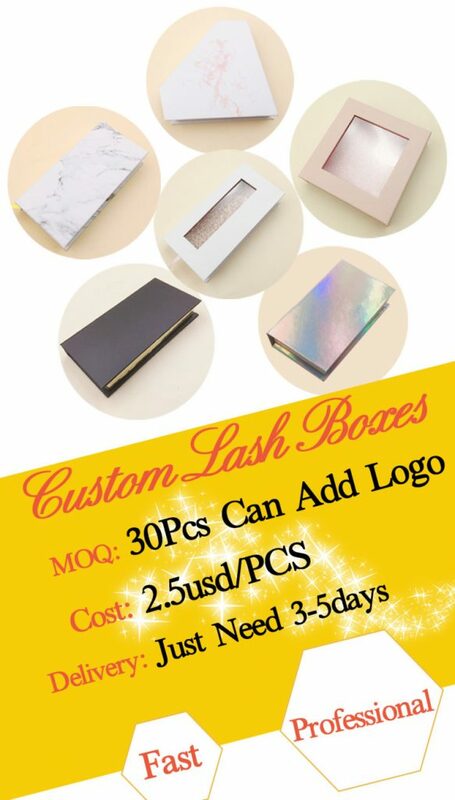 Therefore, recently we have created a new custom-made eyelash packaging box, the minimum order quantity is 30, 2.5 US dollars one, 3-5 days can be finished for you.